Hardly a day passes that I am not impressed with the new and innovative ways people are coming up with to expand their horizons… and their bank accounts… without leaving home. Today, I discovered two sites that help travelers engage with the places they are visiting through food and interaction with local residents. 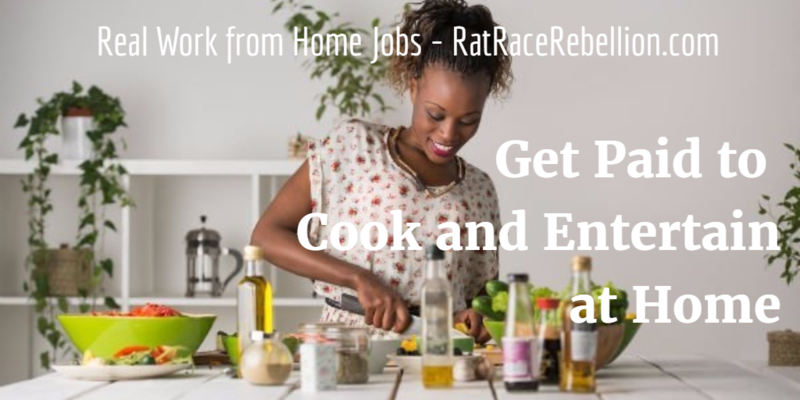 If you are a great home cook or chef who loves meeting new people, these sites could be perfect for you! If you have great cooking skills and space to host dinner guests, EatWith could be a great opportunity for you to make some money from home. Available in 150 cities worldwide already, EatWith connects travelers with cooks who host small dinner parties. You set the menu, time and date, price per person, and max number of people you can host. Click here to learn more about EatWith. BonAppetour is a social dining marketplace that connects travelers with local hosts for home-dining experiences including dinner parties, cooking classes, barbecues, picnics and more! If you are a skilled and passionate cook, then BonAppetour is the platform for you to start hosting. Whether it’s experimenting with new menus, testing recipes, honing skills, or simply sharing your favorite dishes with a global audience, use BonAppetour to build up your hosting profile. Click here to find out how to cook your way to the bank with BonAppetour. Have friends who would be great at this?! Share this post – they’ll thank you (and we will too)! This entry was posted in Work at Home Jobs and tagged BonAppetour, chef, cook, EatWith. Bookmark the permalink.